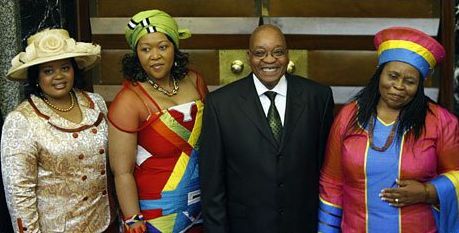 President of South Africa, Jacob Zuma, has married Monday with the third wife. Zuma had to marry his fiancee, Thobeka Mabhija, aged 36 years, last year, but the event was postponed because of political commitments, informs BBC. Some persons accused him for the practice to marry multiple women, but he have also fans because of this decision. Zuma, aged 67 years, married his first wife, Sizakele Khumalo-Zuma, in 1973 and the second Nompumelelo Ntuli-Zuma two years ago. President of South Africa has been married and Nkosazana Dlamini-Zuma, but divorced. There has been many rumours that Zuma will get married for the 4th time, but there is nothing sure in this rumour. Representatives President asked the press to respect family privacy.